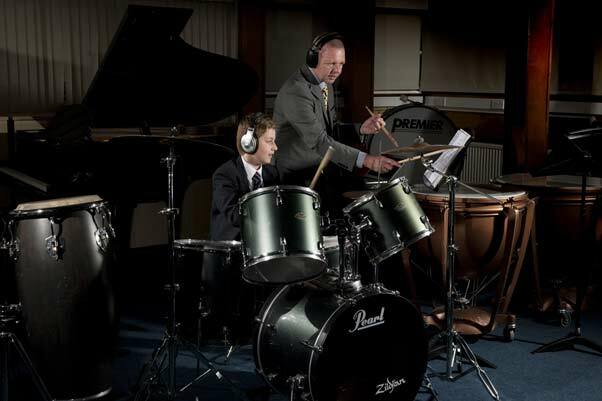 Music is at the heart of Kent College and our splendid music department offers a broad range of opportunity to pupils of all ages and abilities. Working within a positive and vibrant environment, our aim is for music to be both fun and productive, ensuring that pupils perform and progress to the best of their abilities. Three members of staff, as well as a dedicated team of visiting music teachers are fully committed to both the enjoyment of music and promoting the highest standards. 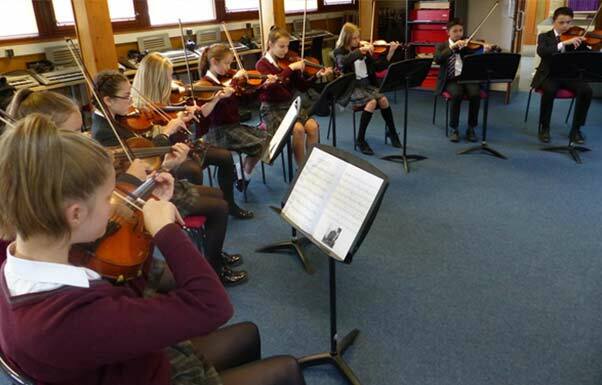 Many pupils learn a musical instrument, and numerous musical events take place throughout the school year. In addition, our GTX Arts Scholarship Programme ensures that musical talent is developed and nurtured to its full extent while pupils are at Kent College. 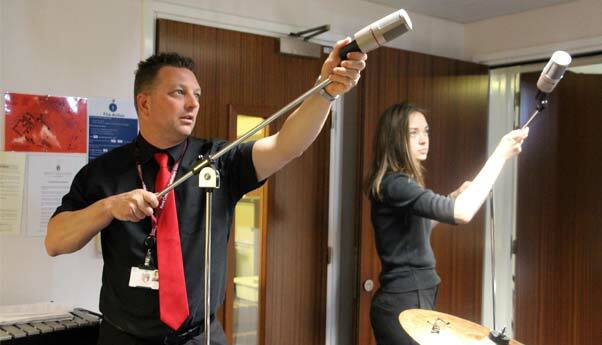 The Department is housed in its own purpose-built Music School and has outstanding facilities, including teaching and practice rooms, two large rehearsal rooms, and a recording studio. 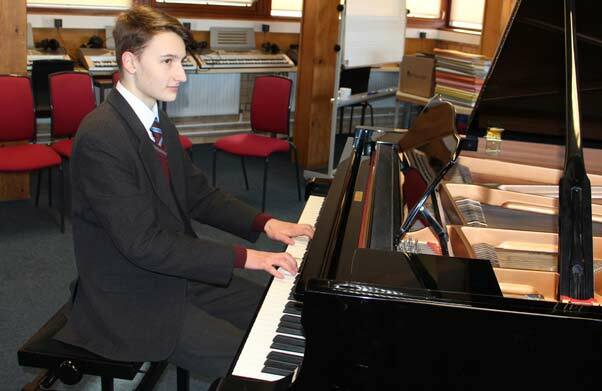 There is a comprehensive stock of instruments available to pupils including two grand pianos, drum kits and orchestral percussion, a pedal harp and a two-manual pipe organ in the school Chapel. 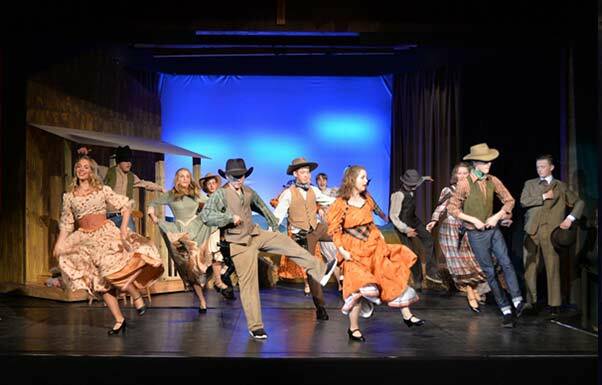 The quality and breadth of music-making at Kent College is evident in both public and school performances, from recent productions of musicals such as 'Oklahoma!' and 'Little Women' to individual performances by talented soloists at the annual concert given in the University of Kent’s Colyer Fergusson concert hall. Many musicians from Kent College go on to further studies in music at one of the specialist colleges or at university, including the Royal College of Music, Royal Birmingham Conservatoire and the Royal Northern College of Music. 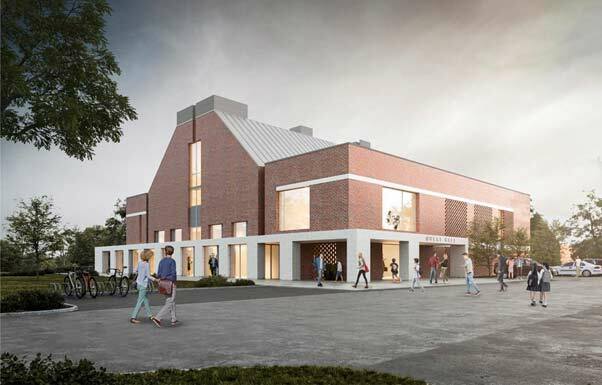 An exciting new development for the whole school, and in particular for the Music and Drama departments, is the start of a year of building on the campus (in 2018) to construct a state-of-the-art 600-seater auditorium – the Great Hall. The hall will be used for the whole school to worship as well as providing a versatile and practical space for the Music and Drama departments. It will also be available to the local community, and in a new partnership between Kent College and the Canterbury Festival, will be used to host events during the Festival. test Your browser does not support the audio element. 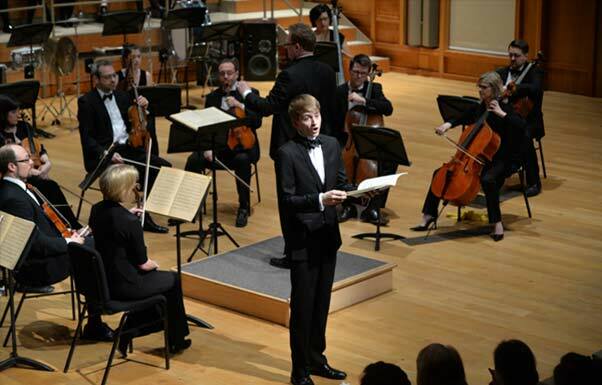 Julian Ross started his musical education as a chorister at St Paul's Cathedral and later studied the organ with David Saint at the Birmingham Conservatoire, gaining a first class music degree and winning the BMus course prize. Whilst furthering his studies at the University of Durham, he was Organ Scholar at University College, where as well as playing the organ he directed the Chapel Choir. As a singer he has been a Choral Scholar at Lichfield Cathedral, a member of ‘Ex Cathedra’ and currently sings as a Deputy Lay Clerk at Canterbury Cathedral. 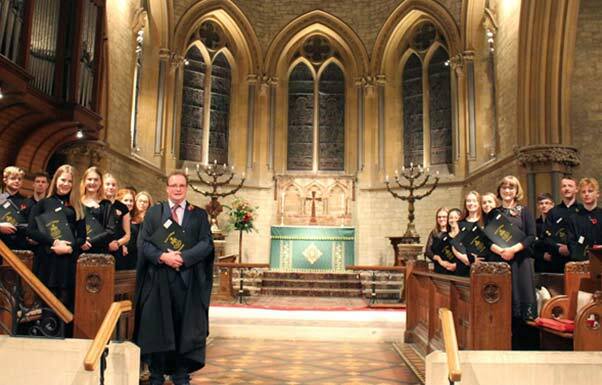 Prior to taking up his position at Kent College in 2010, he was Director of Music at Arnold School in Blackpool and previously Assistant Director of Music at Blundell's School in Devon. 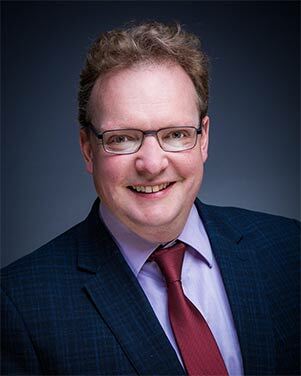 As well as working extensively as a conductor of instrumental and choral groups, he is an experienced teacher of GCSE, A level and IB music, and is proud to have guided many students successfully towards studying music beyond school at leading Universities and Conservatoires. Annalise Roy studied Music at Cambridge University, staying on to gain a PhD on Mahler’s First Symphony. She taught in London for several years before joining the staff at Kent College in January 2014. Annalise is a keen pianist; she accompanies ensembles and soloists within the school, coaching individuals towards performances and Grade examinations. She also applies her experience of choral singing, including as a Choral Exhibitioner at Cambridge, to her work with Cantabile Choir. Annalise enjoys composing new music for the choir, and is currently focusing on teaching Composition in the Sixth Form. John Shillito began playing the Spanish Guitar at the age of 8. He holds an engineering degree in Electronics and Music Technology from Leeds Metropolitan University and furthered his musical studies at The Royal Northern College of Music, specialising in the Spanish Guitar. He was a founding member of the Aquarelle Guitar Quartet, performing all over the UK as well as many festivals including the Jersey Arts Festival. He has played in numerous bands and worked in recording studios as both an artist and engineer. He is a keen composer and producer of electronic music and his work has been featured on Radio 1 and Radio 6 Music. Jackie Spencer has been Director of Music at Kent College Junior School for 15 years. A graduate of the Royal Academy of Music, her principal study was piano with second study violin. She teaches class music throughout the Junior School, directs the Junior School Choir, Kent College Choristers and the Junior School Orchestra as well as running the GREAT Music programme for accelerated learning. She is an experienced choir trainer and conductor. Her reputation as a first-class trainer of young voices is reflected in the achievements of the various choirs under her direction, in particular the Kent College Choristers, who have a national and international reputation. 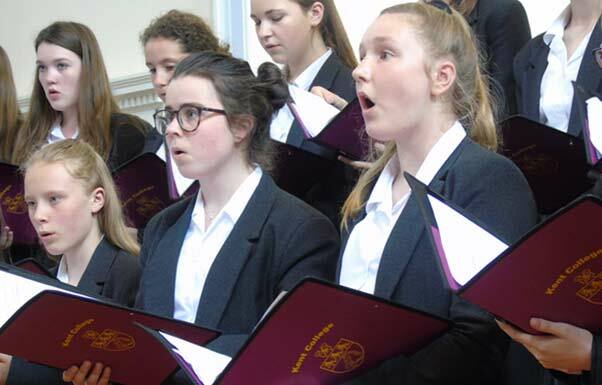 The high standard of the choirs and orchestra at the Junior School is a testament to the work done in class music, beginning in Early Years and continuing throughout the school, with its emphasis on practical music-making. Her enthusiasm and commitment creates a vibrant music department with a Junior Choir of over 90 children, and the majority of pupils taking instrumental or singing lessons. 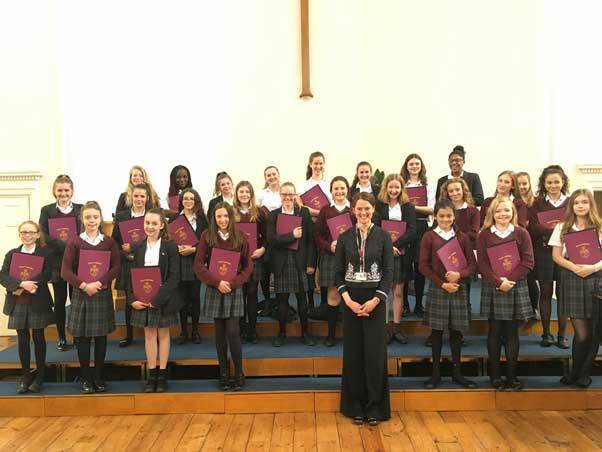 The Kent College Choristers have enjoyed a proud record of success in national competitions, most recently as runners-up in the Barnado’s School Choir Competition (2018), and as televised finalists in BBC Songs of Praise ‘Junior Choir of the Year’ (2018). 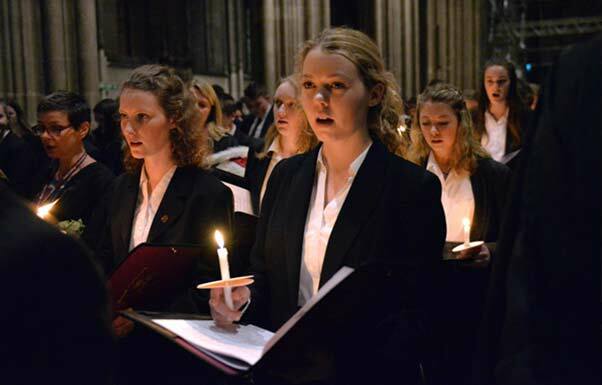 The senior chamber choir, Sedecim, recently sang Evensong in Winchester and Canterbury Cathedrals, and the Cantabile choir performs regularly in the community. In the past few years our choirs have toured to Austria, Italy, France, Czech Republic, Estonia and Budapest. 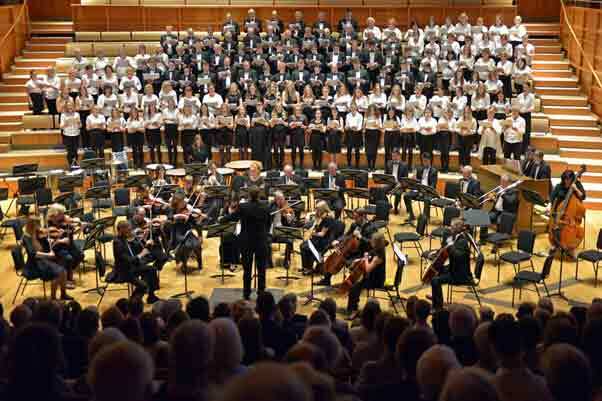 On a larger scale, our school Senior Choir and Choral Society join forces each year for the annual concert in the Colyer Fergusson Hall, with recent performances including Karl Jenkins’ ‘The Armed Man’ and Howard Goodall’s ‘Eternal Light’, Handel’s ‘Messiah’, ‘Gloria’ by Vivaldi and by John Rutter, and Dan Forrest’s ‘Requiem for the Living’. 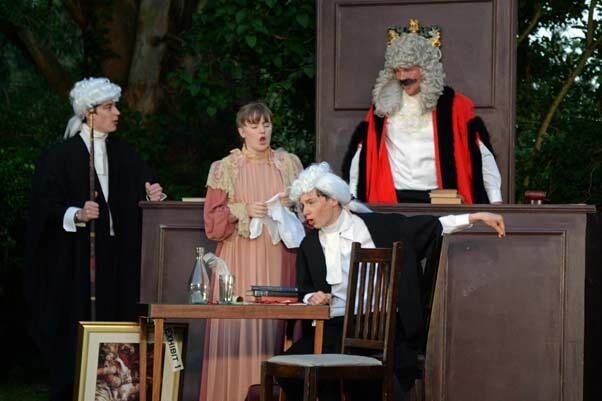 Each year a full scale musical is staged in collaboration with the Drama Department, and a summer open-air opera production is performed at the end of the school year – recent highlights have included ‘Dido and Aeneas’ and ‘Trial by Jury’. 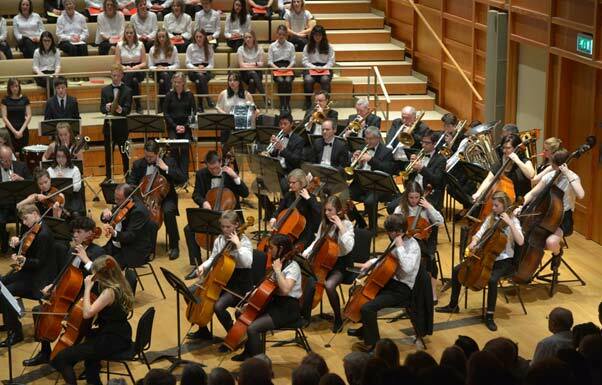 Our orchestra rehearses throughout the year for various events, including a major public performance at the Colyer Fergusson Hall, as well as the lighter-hearted ‘Joy to the World’ Christmas extravaganza. The department also promotes a series of informal Teatime and Lunchtime concerts, and a range of competitions for all musicians. For our Rock and Pop groups, the annual Band Night is always a highlight. Our highest achieving musicians are offered further platforms, including the opportunity to perform as soloists with an orchestra. 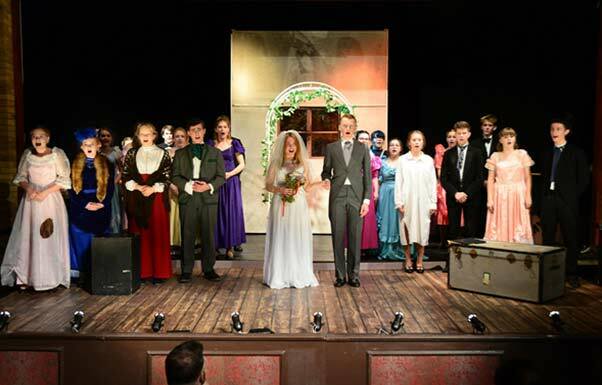 The GTX Arts Scholarship Programme plays an important part in ensuring that talented pupils are given the support and advice necessary for their development during their time at Kent College. This includes access to excellent individual voice and instrumental teaching from our Visiting Music Teachers, many opportunities to perform both individually and in ensembles, and opportunities to work with professional coaches in our series of occasional masterclasses. A number of generous Music Scholarships are offered each year and details of how to apply can be found here. The Director of Music, Julian Ross jross@kentcollege.co.uk is always available for an informal chat to discuss how Kent College can shape your child’s future in music. 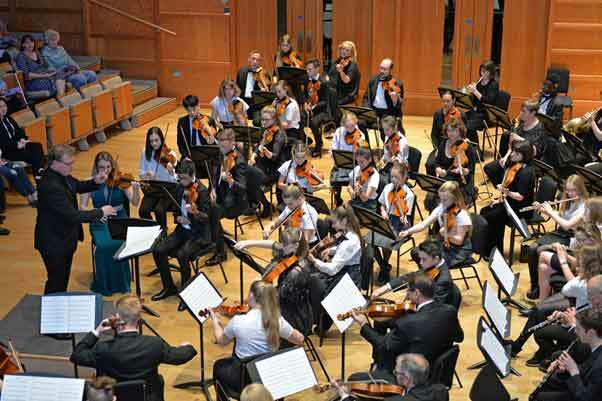 Many pupils learn a musical instrument and instrumental tuition is available on all standard orchestral and band instruments, as well as singing, piano and guitar. Lessons are taught individually by one of our experienced Visiting Music Teachers. During the course of the year, pupils usually receive thirty 30-minute lessons. It is normally possible to have a free trial to confirm suitability for a particular instrument before committing formally to lessons. Lessons take place during the school day and normally operate on a rotational system in Years 7-9 to ensure pupils do not miss the same academic lesson from week to week. For Years 10-13, lessons are arranged outside academic lesson time. 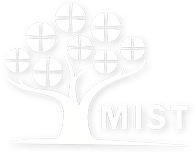 This system is closely monitored and timetables are clearly displayed in the parent portal on the school website, and in the Music Department. More information about music lessons, together with an application form, can be found here. If you would like to come visit us and meet our friendly staff and pupils click below.